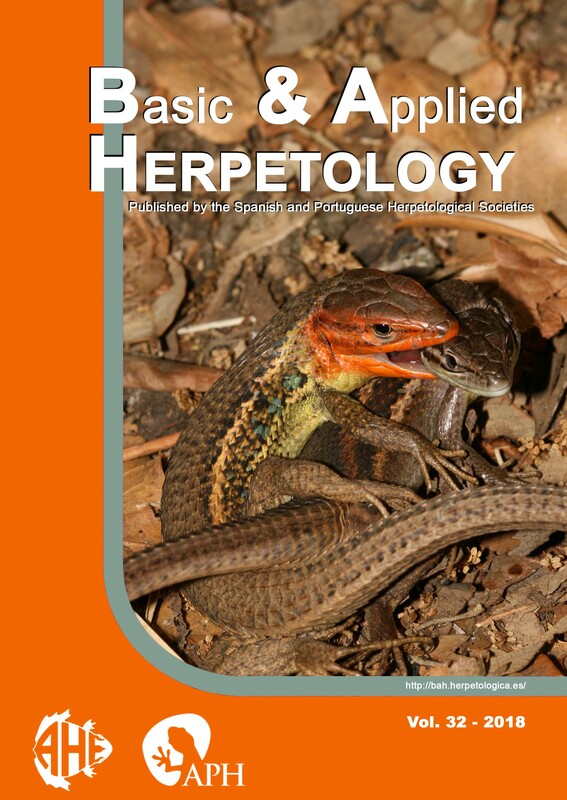 Morphological differentiation and sexual dimorphism in the two genetically distinct clades (Northern and Southern clades) of the Lorestan newt, Neurergus kaiseri, was evaluated for 72 live specimens, using five body- and nine head-related characters and eight calculated ratios. Principle component analysis of morphological characters confirmed that the Lorestan newt populations are well separated into two distinct groups, suggesting that a taxonomic revision in N. kaiseri may be required because of significant molecular, morphological and ecological differences between these clades. Sexual dimorphism in N. kaiseri includes body size and shape. Females were clearly larger than males in most body- and head-related variables and males had relatively greater head width and eye length. Sexual dimorphism in this species may be linked to sexual selection and ecological differences between sexes. However, many aspects of the ecology and reproductive biology of this species remain unknown.